The British press is bursting with pride. “Brave Bella” announced the Daily Mail. Don’t get me wrong, I love Labradors. They are some of the most favorite, friendliest, best behaved dogs I ever treated. But I just don’t know if falling off a cliff and then finding your way home in time for the next meal is what I would call ‘brave’. It is what I would call ‘a typical Labrador’. 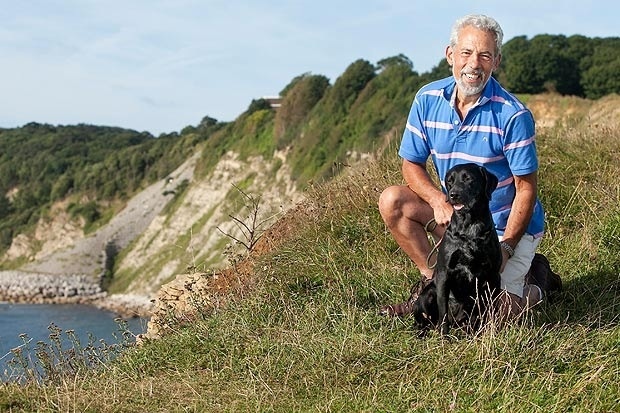 “THIS dog proved to be a miracle mutt when, after surviving a 100-foot cliff plunge it found its way back to its owners’ holiday home. Bella the Labrador was chasing a seagull at Peveril Point, near Swanage, Dorset, when she tumbled off the rock face. And having miraculously survived the death-defying drop – she then made it a mile back to her owners’ holiday home she’d only been to once before. Dear readers. As some of you will know, Labradors are… how can I put it without offending anyone, bred for personality, not IQ. So if you own one, plan for the stupidest, most crazy thing your dog will do, because that’s exactly what usually happens. As least if all else fails, you can always rely on your Labrador coming home for dinner.